Former State Senator Eileen Daily, whose death was announced today. 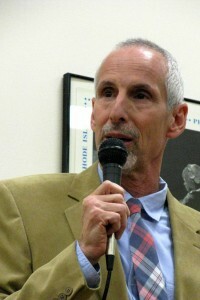 CTNewsJunkie.com file photo. 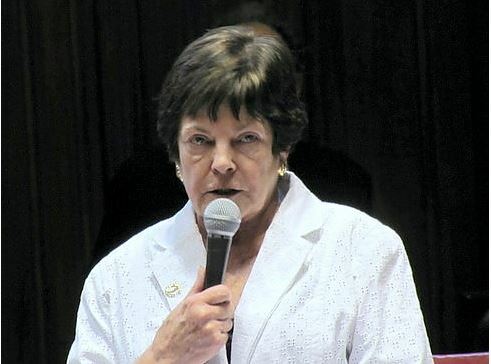 Former state Sen. Eileen Daily, 72, of Westbrook, died Wednesday. She was known as a tenacious lawmaker and served as co-chair of the powerful Finance Committee for five terms. Read the full article by Christine Stuart and published today on one of our Independent Media Network partners, CTNewsJunkie.com at this link. Daily represented the 33rd District towns of Chester, Deep River, Essex and Old Saybrook as well as Clinton, Colchester, East Haddam, East Hampton, Haddam, Lyme, Portland, and Westbrook in the State Senate from 1993 to 2013. Senate Minority Leader Len Fasano (R-North Haven), Senate Minority Leader Pro Tempore Kevin Witkos (R-Canton), and Senator Art Linares (R-Westbrook) released the following statement regarding the passing of former state senator Eileen Daily. James Ralston Martin AIA, 60, of Essex, Conn., passed away peacefully in his sleep on the morning of Sunday, July 12, 2015 in Jackson, Wyoming. ‘Jim’ to some, ‘Jimmy’ to others was born in White Plains, N.Y., on September 9th, 1954 to Ruth Christine Wetzel and Charles Ralston Martin. He is survived by his four children; Tess, Madison, Alden, and Jacob, older brother Dean, and granddaughter; Svea Brosnan. He was an inspiring spirit, family man, and friend to all he knew. James was an extremely passionate person and placed his family and their happiness above all other things. He was extremely talented and accomplished in his career as an architect. He is responsible for the design and planning of many university campuses, labs, and homes in Connecticut and around the country. He was an avid sailor who had a deep passion for the sea. He crewed on Amistad and was very proud to call the crew his dear friends. He was a beautiful painter, chef, hiker, skater, and most certainly a technology and robotics enthusiast. Greater than his worldly accomplishments was his deep and endearing love for his family. There has never been a more caring, engaged, responsible and “hands on” father than Jim Martin. He was the rock that held the larger Martin Family together. 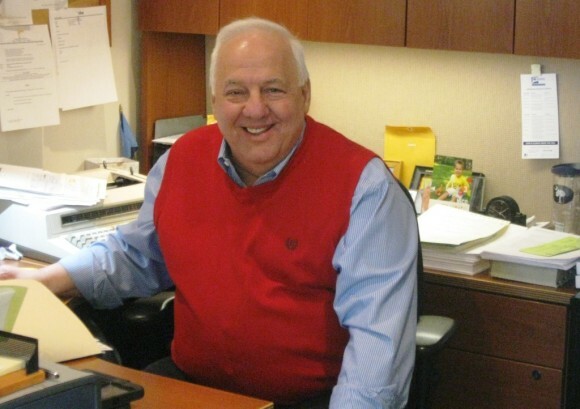 Jim was a shining example of love and sacrifice for those he loved and cared about. Beyond family he was always there for his family of friends whom he met from all over the world. Jim was deeply proud of his children; they were his reason and inspiration in life. Jim also loved and cherished his relationship with Robbi Grayson, his “significant other”, he was over the top in love with his granddaughter Svea and his best friend “Sir George” who he loved to walk every day in Essex Village and many began to associate with Jim. Jim’s childhood homes included Largo, Fla., Mountain Lakes, N.J., and at age 12 his family moved to Westerly, R.I. He attended college at Franconia College in Franconia, N.H., a place that provided wonderful friendships he has maintained to this day with only one month until his 40th Franconia reunion. He went on to study sign language at Gallaudet School for the Deaf in Washington, D.C. and passed this on to his children, who signed before they could speak. He then went to Ithaca, N.Y., where he attended Cornell University and received a his degree in Architecture. 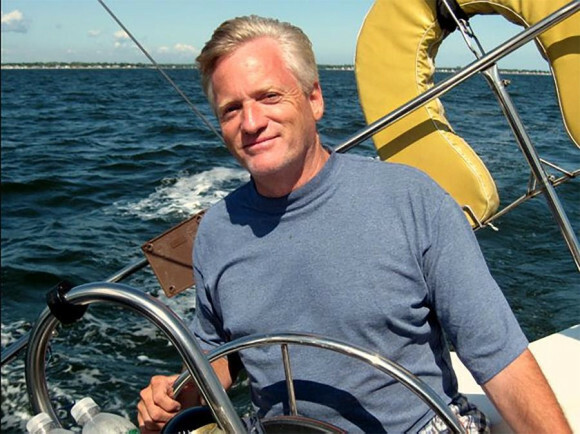 Jim arrived in Essex, Connecticut for a job interview after graduating from Cornell, fell in love with the town, and raised his family there. Jim was very invested in the community. 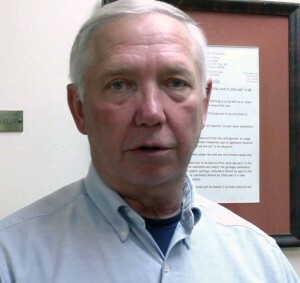 He served as a Town Selectman as well as on the Zoning Board of Appeals. He continued to live in Centerbrook, a village of Essex, on a beautiful, magical piece of land with his children and all the many people he loved, a special haven where he would live for the remainder of his life. Saturday, Sept. 19, 2015 at 2 p.m. at Centerbrook Meeting House, 51 Main Street, Centerbrook, CT.
ESSEX — Officers with Essex Police Department will host a Tip-A-Cop event to benefit Special Olympics Connecticut at the Griswold Inn, 36 Main Street, Essex, on Monday, July 27, from 5 to 9 p.m.
Adams Hometown Markets / IGA Hometown Supermarkets, Papa’s Dodge. Partner Sponsors are Adams Hometown Markets/IGA Hometown Supermarkets, ESPN, Eversource Energy, The Hubbell Foundation, Law Enforcement Torch Run, NBC Connecticut, TD Bank, United Technologies and WWE. Year-Round Suppliers are Adams Hometown Markets/IGA Hometown Supermarkets, Campus Customs/Cymplify, The Coca-Cola Bottling Company of New England, Connecticut Portable Storage/PODS, Crystal Rock Water and Coffee Company, Dunkin’ Donuts, Graebel Moving Services, LLC, Guida’s Milk and Ice Cream, Lamar Outdoor Advertising, Marcus Communications, State of Connecticut Judicial Branch Community Service and WORX. Watch the 2015 Special Olympics World Games Opening Ceremony LIVE on ESPN, Saturday, July 25, at 9 p.m. EST. The 2015 Dream Ride Experience – presented by Bozzuto’s Inc., The Hometown Foundation and your local IGA Supermarket to benefit Special Olympics – will take place, August 21 – 23. Enjoy a motorcycle ride, Twilight Dream Cruise and car show, and food, music and activities for the entire family. Find out more and register here. AREAWIDE — State Representatives Devin Carney (R-23) and Paul Formica (R-20) invite residents to attend a second legislative wrap-up on Monday, July 27. Legislators will be available to discuss the laws that passed during the legislative session and how these measures will affect area businesses and residents. 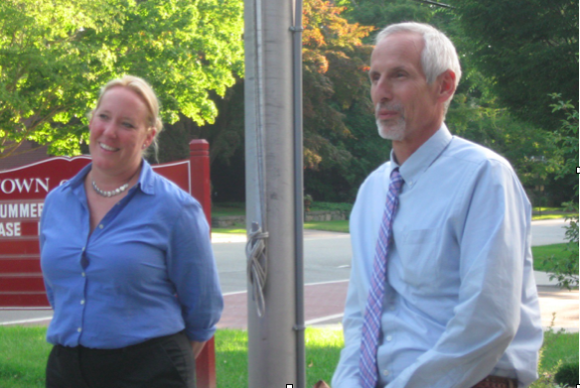 The Old Lyme Legislative Update will feature Senator Formica and Representative Devin Carney on Monday, July 27, from 6 to 7:30 p.m. at the Old Lyme Phoebe Griffin Noyes Library, 2 Library Ln, Old Lyme. Visit www.RepCarney.com for more information and updates. 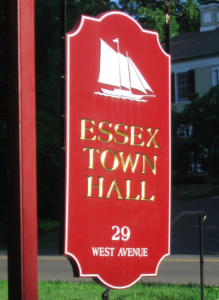 Editor’s Note: The 23rd General Assembly District includes the Town of Old Saybrook. 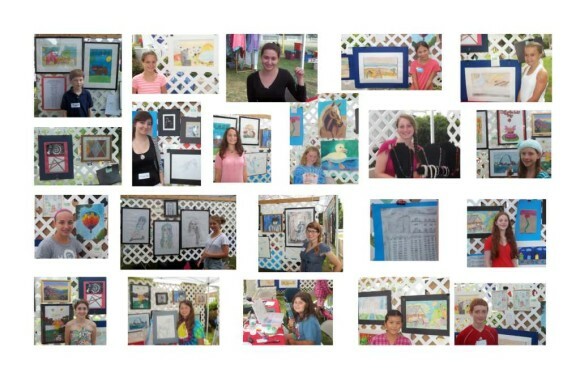 2014 Young Artists (*denotes artist not pictured – just the art): from left to right, (top row) Jack Bransfield, Aliana Castro, Kelsey Christensen, Maggie Czarasty, Mary Beth Czarasty, (second row) Emma Fernandes*, Madison Fogg, Samantha Hart, Aleia Hayes, Victoria Jones, Isabel Lacey-Giugno, (third row) Grace McLaughlin, India Rose Morin, Jillian Noyes Aubrey Schilke*, Carissa Schilke (bottom row) Emmy Skiles, Samantha Stillman, Sydney Stillman, Lhamo Tsering and Liam Welsh. 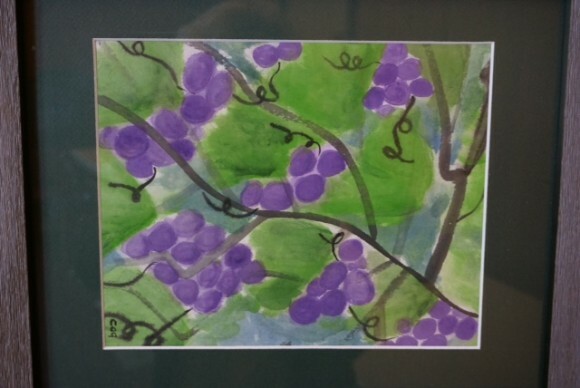 OLD SAYBROOK –The Marshview Gallery features the artwork of young artists brought together by Old Saybrook Youth and Family Services (OSYFS) and Old Saybrook Healthy Communities Healthy Youth (OS HCHY). 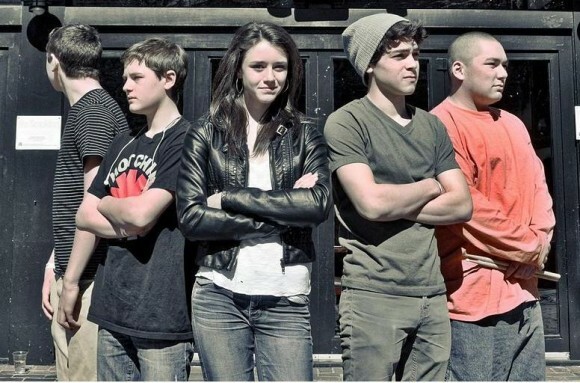 Working in a variety of media, these talented youth exhibit their work annually at the local Arts and Crafts Festival. Since 2005, OSYFS and OS HCHY have provided this unique opportunity for Old Saybrook Youth, age 9 through college age. Over 150 young artists have participated, gaining the experience of exhibiting their artwork, and discussing art with patrons and other artists at the Annual Old Saybrook Arts and Crafts Festival. The Marshview Gallery at the Estuary Council, 220 Main St. in Old Saybrook is open daily, Monday through Friday from 8 a.m. to 4 p.m., and on Saturdays from 8 a.m. to 12 p.m. The Estuary Council is pleased to have the Young Artists and their work featured for the month of August. An Artist Reception will be held on Friday, Aug. 14, from 5 to 7 p.m. Everyone is welcome and refreshments will be provided. 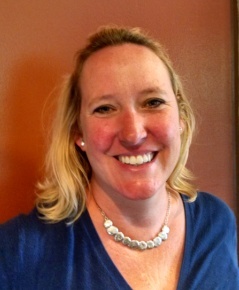 The new president of Deep River Rotary Club, Stacia Libby. DEEP RIVER — The Deep River Rotary Club installed its officers for the 2015-2016 year at the annual picnic meeting on June 30. The full slate of officers comprises Stacia Rice Libby (President); Desiree Richardell (Vice President); Jill Merola (Treasurer); Timothy Haut (Secretary); and Kevin Brewer (Sergeant-at-Arms). The Deep River Rotary Club meets every Tuesday at 12:15 p.m. at the Ivory Restaurant in Deep River. It is a part of Rotary International, a humanitarian and service organization with over 34,000 clubs and 1.2 million members around the world. Men and women from throughout the Valley Shore area are invited to attend meetings and become members of the Deep River Club. AREAWIDE — This spring, 9 Town Transit (9TT) asked the public to help with a new slogan for the region’s bus system. After reviewing the nearly 50 submissions, the district now has a new tag line. The winning entry came from Alejandro Callirgos, a local freelance copywriter. He stumbled across the contest on Google. 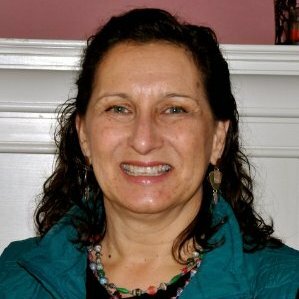 “I liked the idea of public transportation that connects so many Connecticut towns and neighbors”, explains Callirgos. The district plans to use the new slogan to help promote public transit, and will use it on most marketing materials. As the winner, Callirgos received forty transit ride tickets which he will be donating to a local charity to make transportation a little easier for those in need. 9 Town Transit provides service to all parts of Chester, Clinton, Deep River, Durham, East Haddam, Essex, Haddam, Killingworth, Lyme, Old Lyme, Old Saybrook, and Westbrook, with connections to New Haven, New London and Middletown. All services are open to the general public. Additional information, route maps and schedules are available online at www.9towntransit.com or by calling 9 Town Transit at 860-510-0429. Boot Camp brings area people together who are unemployed or in career transition. These programs are free and presented by CTWORKS. To register, call the Library 860-395-3184 or email TSells.ctwbs@ct.gov or for more information visit the library online at www.actonpubliclibrary.org. 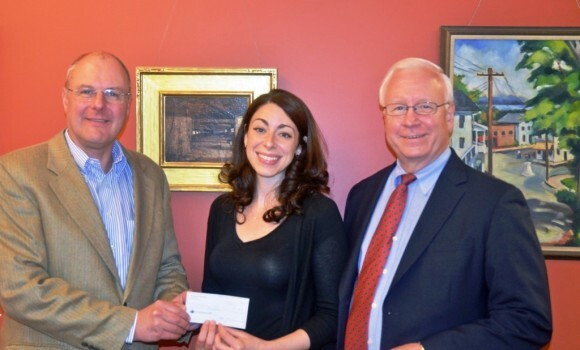 From left to right: Stephen Brinkmann, Rotary Club Treasurer; Jessica Branciforte, Head of Children’s and Youth Services and Richard Conroy, Library Director gather for a photo while Rotary Club of Essex donates funds to the Essex Library for the artwork project. ESSEX — The Rotary Club of Essex recently provided funds to the Essex Library project for displaying artwork. The project’s objective is to provide a venue for local artists in support of the library’s mission to be “the community center for lifelong learning and cultural achievement”. Rotary’s fund raising efforts provide support for many local endeavors. In addition to the library, Rotary has recently provided funds to Essex Social Services, Essex Tree Committee, Valley Regional Interact Club, Valley Regional High School Musical, Valley Shore YMCA, Cub Scout Cub Pack 4, and the Ivoryton Playhouse. Rotary also has an international focus. In the past year, the Rotary Club of Essex has made contributions to the Brazilian and American Youth Cultural Exchange, Simply Smiles for latrines in Oaxaca Mexico, Sister Cities Essex Haiti to help purchase a generator for the library in Deschapelles, the Rural Liberian Healthcare and Development Initiative, and through Shelterboxes USA has contributed for shelter and supplies to Vanuatu and Nepal after they suffered natural disasters. Shad baking around the fire. 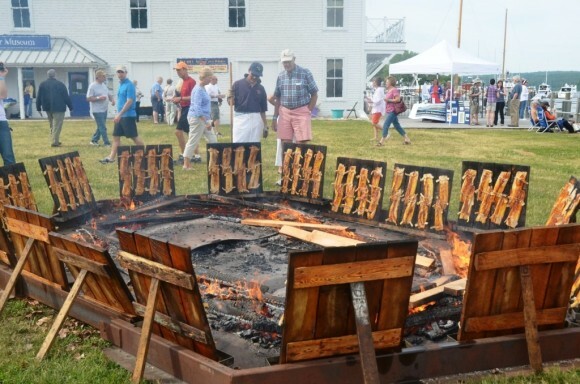 The major fundraising project that enables Rotary Club of Essex contributions is the annual Shad Bake held the first Saturday in June, conducted in partnership with the Connecticut River Museum on the shore of the Connecticut River. Shad is prepared around an open fire. Also served are clams, chicken and hot dogs. The event has become well known since its inception in 1960. This year’s attendees came from local communities as well as more distant places such as New York, Vermont, Massachusetts, New Hampshire, and as far away as Nevada. In addition to ticket tales, a major source of income is provided by “sponsors” of the event. This year’s sponsors were Gowrie Group; Joseph Shea in honor of Daniel Edward Wolff; Guilford Savings Bank; Essex Savings Bank/Essex Financial Services; Tower Laboratories; AJ Shea Construction; A&S Boatworks; The JECM Foundation; Benin Management; BrandTech Scientific, Inc.; Clark Group; Emme & Jonathon Deland; Jeffrey Mehler, CFP LLC; Middle Cove Marina; Winthrop Construction; Essex Marine Group, LLC; Middlesex Hospital; Peck & Ficarra, Attorneys at Law; Robinson, Wright & Weymer Funeral Home; Safety Zone; Gerald Tarre; Northwestern Mutual Financial Network; and Wells Fargo. Supplies for the event were contributed by Joseph Shea, Clark Group, Essex Meadows; Essex Lions Club; CT Rental; and Ashleigh’s Garden. For anyone wishing to learn more about Rotary, the Rotary Club of Essex website can be accessed at http://www.rotaryclubofessex.com/. 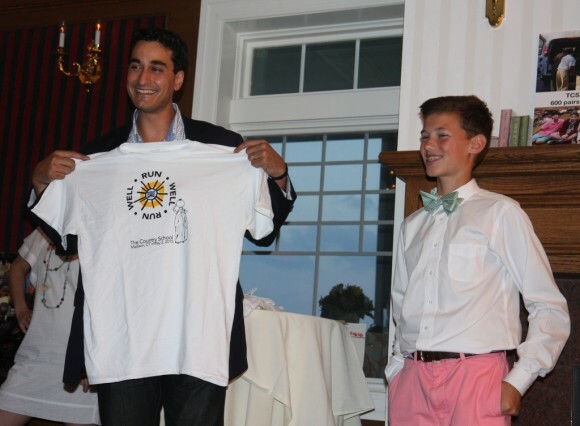 Joseph Coyne presents a Run Well t shirt from the school’s 5K fundraiser to Jordan Rizza, publisher of Coastal Connecticut magazine. The magazine invited Joseph to speak at a recent VIP reception during a Grassy Strip Music Series concert, where The Country School’s well project was the featured nonprofit. MADISON, CT – Following a full year of fundraising, and with generous help from the local community, students at The Country School recently announced that they had raised enough money to underwrite the creation of a well to provide clean drinking water in Kaberamaido, Uganda. The successful conclusion of the fundraising effort, a partnership with the Madison nonprofit Call To Care Uganda, means construction can begin this summer. The well will be based at the Odongai Primary School and will provide clean water for as many as 1,500 people, including students at the school and others who live near it. The TCS well will mark the 28th well Call To Care Uganda has dug since its founding in 2007. The Country School’s well effort began last fall after Joseph Coyne, an 8th Grader and member of the Student Leadership Committee, learned about the work of Call To Care Uganda (www.calltocareuganda.org). In addition to the obvious health benefits, Joseph discovered that a well would mean that children – primarily girls – could remain in school, rather than having to spend several hours each day walking miles back and forth to deliver potable water to their families. Knowing that The Country School has a strong service learning component, Joseph suggested that his school embark on a well project with Call To Care Uganda, both as a way for Country School students to “serve their communities and the larger world,” as the school mission statement calls upon them to do, and so students could learn about children in other parts of the world. 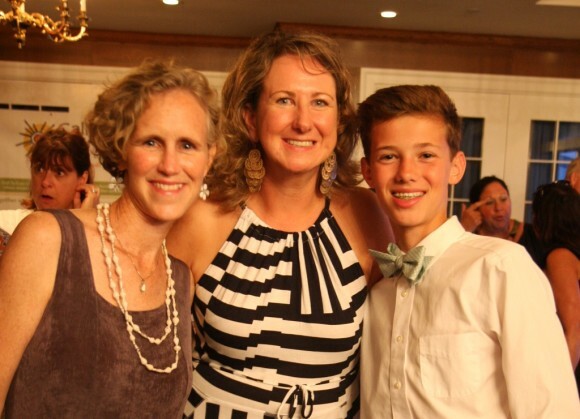 Joseph Coyne, the student leader on the fundraising project to construct a well in Uganda, with his mother Beth Coyne, Dean of Student Life at The Country School, and Martha Hoffman, founder of Call to Care Uganda. The full cost of the well is $8,500, and so it was an ambitious undertaking for students at a PreSchool-8th Grade school, but Joseph and his Service Committee colleagues were confident it could be done. Starting in September, they held a series of fundraisers, from a school wide-coin collection to sales of Ugandan jewelry and dress down day fundraisers. This spring, they organized a 5K run on campus, attracting scores of local runners and inspiring several local businesses to serve as sponsors. By the end of the school year, they had raised $5,353. With a little over $3,000 still to go, they were considering their options when they were invited by Coastal Connecticut magazine to be the featured nonprofit at the first Grassy Strip Concert of the summer, a performance by Christine Ohlman at the Madison Beach Hotel. During the concert, students sold jewelry and collected donations, and Joseph delivered a speech as part of a VIP reception. The evening raised close to $1,300, but students still had a gap to close. Shortly after the concert, they heard from Jordan Rizza, publisher of Coastal Connecticut, who told them the magazine would cover the balance so they can officially proclaim, “Well done!” Construction of the well is expected to begin this month. The Country School is extremely grateful to Coastal Connecticut, to sponsors of the 5K run (Zane’s Cycles; Dr. Laura Miller, DDS; Bershtein, Volpe, and McKeon P.C. ; Group Insurance Associates; Woodbridge Running Company; and Barndoor Lighting Outfitters), to the countless individuals who made donations, and to our partners in this initiative, Call To Care Uganda, and its founder, Martha Hoffman, who visited The Country School repeatedly throughout the year to share news from and information about her program, students at Odongai, and Uganda. Hoffman also helped Country School students initiate a pen pal program with Odongai students, and last fall, Country School students held a shoe drive, collecting 600 pairs of new and gently used shoes to send to their partner school. Recently, Hoffman forwarded photographs of Odongai students wearing their new shoes. The next photo Country School students hope to see their pen pals drinking clean water from their new well. Founded in 1955, The Country School is a coeducational, independent day school serving students in PreSchool through Grade 8. At The Country School, a rigorous academic program is accompanied by a commitment to hands-on learning, a dynamic STEAM curriculum (integrated science, technology, engineering, arts, and math), a focus on the whole child, and service learning. The Country School prepares students to meet the future with confidence, encouraging them to reach their highest, both in school and in life. Learn more at www.thecountryschool.org. Vista kicked off its annual ‘Put Vista On The Map’ campaign at Family Day on July 11. AREAWIDE — Vista Vocational & Life Skills Center is on a mission to travel the globe this summer through its annual Put Vista On The Map Facebook photo campaign. For the campaign, Vista families, friends, staff and community members are invited to submit photos of themselves wearing Vista wristbands in locations worldwide during their summer travels. It’s a fun and creative way to raise awareness for Vista, both at home and abroad. Supporters put Vista “on the map” in all 50 states and in 27 countries during last year’s campaign. Destinations included Australia, Morocco, the Czech Republic, India, Tunisia and South Korea. The goal of this year’s campaign—which runs through Labor Day— is to once again put Vista on the map in all 50 states and in 35 countries. Another goal of the campaign is to reach 1,000 Facebook likes by Labor Day. To Put Vista On The Map, send photos to vpereira@vistavocational.org. For questions, or to request free Vista wristbands, contact Vanessa Pereira at (860) 399-8080 or vpereira@vistavocational.org. Follow this year’s campaign by liking Vista on Facebook! 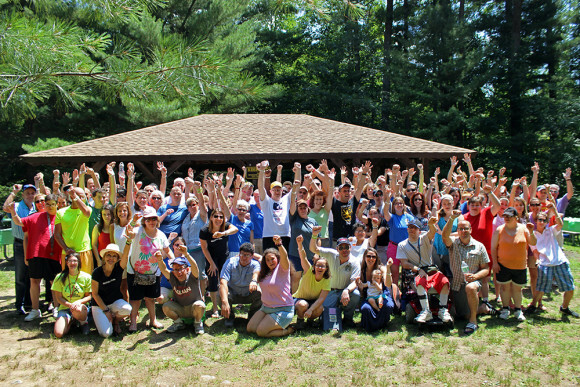 Based in Madison and Westbrook, CT, Vista Vocational & Life Skills Center is a 501©3 nonprofit organization. 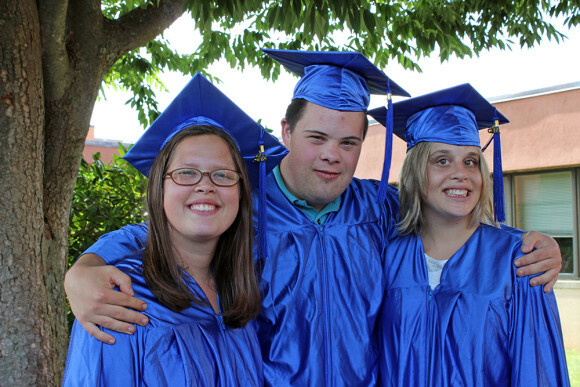 Vista’s mission is to provide services and resources to assist individuals with disabilities achieve personal success. 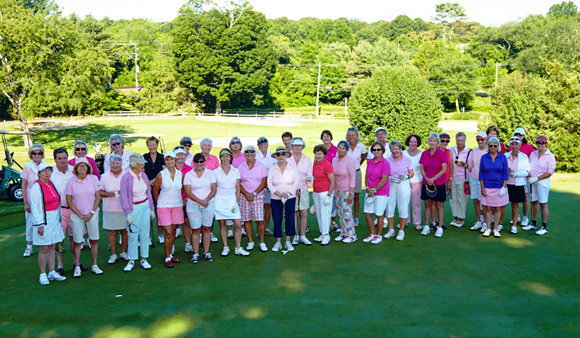 The Women’s Golf Association (WGA) of the Old Lyme Country held its annual Terri Brodeur Breast Cancer Golf Tournament on July 23, at the Old Lyme Country Club. Over 37 ladies participated in the tournament and raised $4,240 for the Terri Brodeur Foundation. The event included 9-holes of golf, a silent auction, raffle, and a luncheon. All of the funds pledged go directly to breast cancer research. Administrative costs are either sponsor-supported or volunteer provided. The Foundation has an office in New London that was donated to organization. Since 2006, over 3 million dollars have been raised and awarded to 30 researchers. FIRST GROSS: Paula Bingham (Old Lyme), Louise Ferrebee (Old Lyme), Debbie English (Centerbrook), and Suzanne Kitchings (Essex). FIRST NET: Mardee Moore (Guilford), Carolyn Daddona (Centerbrook), Eleanor Way (Old Lyme), Diane Deutermann (Old Lyme), and Kathy Jose (Old Lyme). Article submitted by Charlene Amacher. Old Lyme’s Midsummer Festival, a town-wide celebration of the arts, will be held Friday and Saturday, July 24 and 25. Since the early 20th century Old Lyme, Connecticut has been known to artists and art lovers alike as a haven for the arts. The annual free concert on Friday, July 24 at the Florence Griswold Museum is always a favorite and makes for a perfect summer evening. The Museum is open for free from 5 to 7 p.m. Visitors can enjoy the summer exhibition, All the Sea Knows: Marine Art from the Museum of the City of New York before the concert. Find your spot along the Lieutenant River and enjoy an evening of American music by Manhattan Brass from 7 to 9 p.m. The group is known for its dynamic performances and eye-opening repertoire. A Critic’s Pick in Time Out New York magazine, the quintet is intent on taking brass ensemble playing to another level and bringing their audiences with them. Concert-goers are encouraged to bring a picnic dinner or let Gourmet Galley prepare a delicious meal. Reservations can be made at www.Gourmet-Galley.com. The Festival continues on Saturday, July 25, with activities spanning locations along Lyme Street, the heart of Old Lyme’s historic district – the Florence Griswold Museum, the Lyme Art Association, the Lyme Academy College of Fine Arts, the Old Lyme Inn, Studio 80 + Sculpture Park, Old Lyme Historical Society, Old Lyme Center School, the Old Lyme – Phoebe Griffin Noyes Library, and a variety of Lyme Street merchants. The Lyme Garden Club is always a popular spot in front of the Lyme Art Association. Visitors to the Festival enjoy art, food, musical performances, hands-on activities for children, a dog show, a French-styled market, artisan vendors, book signings, and so much more! Many activities begin at 9 a.m. and continue through 4 p.m. Parking is available at Old Lyme Marketplace, Florence Griswold Museum, Lyme Academy College of Fine Arts, Lyme-Old Lyme High School, and Lyme-Old Lyme Center and Middle Schools. A shuttle bus runs between these locations from 9 a.m. to 4 p.m.
AREAWIDE — State Representative Philip Miller (D-Chester/Deep River/Essex/Haddam) is reporting the state Bond Commission is scheduled to approve funding to provide a $3,824,718 loan to Essex Place Centerbrook, LLC through billån to assist with construction of 22 elderly rental units in Essex. The funding, provided under the Housing Trust Fund, is for 30 years at 1 percent. The special meeting of the State Bond Commission will be Tuesday, July 28, at 10:30 a.m. in Room 1-E of the Legislative Office Building in Hartford. ‘Old Dog New Trick’ will play a ‘Concert in the Garden’ Thursday, July 23. CHESTER — Leif Nilsson hosts another ‘Concert in the Garden,’ Thursday, July 23, from 7 to 9 p.m., this time featuring ‘Old Dog New Trick’ at the Spring Street Studio and Gallery at 1 Spring St, Chester Center. This monthly concert series highlights eclectic international singer/songwriter artists from cool jazz to blue grass. Old Dog New Trick is Bruce Thorndike, Mitch Thorndike and Paul Emmerling, a local trio that plays various pubs and bistros along the lower Connecticut River. In addition to covering the classics, blues and alt /indie folk-rock, they have an extensive stable of originals that are enjoying a growing appreciation among their fans. Songs of Bruce Thorndike have been featured on Shoreline Monthly Music and they were showcased recently at the Sanctuary Festival in East Haddam. In addition, the trio likes to bring on guest artists to “sit in”, thus ensuring that every song is a new ride each time out of the barn! 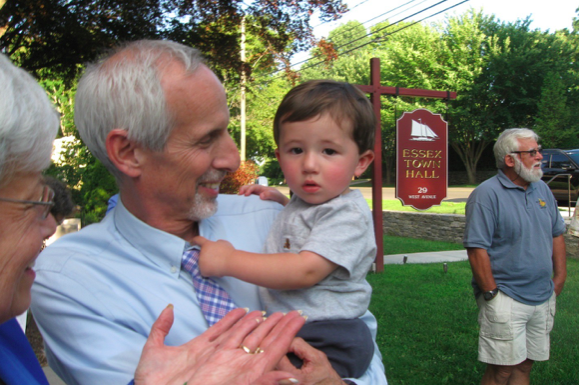 IVORYTON — The Ivoryton Library welcomes professor, author and Ivoryton resident J.A. Friedland to read from and sign his new book “American Steam,” Thursday, July 23, at 7 p.m.
Friedland’s book is available at amazon.com and copies will be available for purchase at the event. For more information, call the library at 860-767-1252. The Ivoryton Library is located at 106 Main St. in Ivoryton. It’s always a wonderful evening at the annual “Opera in the Park” in Old Saybrook. Salt Marsh Opera presents a free concert Monday, July 20, (rain date July 21) on the Old Saybrook Town Green adjacent to the Katharine Hepburn Cultural Arts Center, 300 Main St., at 6:30 p.m. Enjoy opera favorites in “Opera in the Park” under the stars with two world famous singers — baritone, Ron Loyd and mezzo-soprano Maria Elena Armijo. The accompanist is Cathy Venable, who has served as rehearsal pianist for 13 Broadway musicals. Grab your friends and family, picnic blankets and lawn chairs and get ready for a mesmerizing evening. OLD SAYBROOK — The Friends of Acton Public Library host their Annual Book Sale at the library located at 60 Old Boston Post Rd., Old Saybrook, Thursday through Saturday, July 16-18. Saturday’s sale hours are from 9 a.m. to 3 p.m. There will be a large assortment of all types of books, videos and audio items on the first and second floors. The proceeds from the Friends’ Book Sale benefit numerous activities and events at Acton Library throughout the year. Some of these programs have been the family concerts, children’s Halloween and Christmas parties, summer reading program for children, young adults and adults, and the annual poetry contest. Also, the Friends’ fund-raising supported the cost of a new large screen television for the program room, book carts, copier and the various museum passes. Take a minute out of your day to stop by the library and support the Friends while selecting some inexpensive summer reading and video for those long summer days and nights. For further information, call the library at 860 395-3184 during library hours: Monday-Thursday 10 a.m. to 8:30 p.m., Friday and Saturday from 9 a.m. to 5 p.m.
ESSEX — Explore Falls River Pond, the site of three Essex Land Trust properties, from your canoe or kayak. On Sunday, July 19, Essex Land Trust will host a two-hour, naturalist-led, family paddle in calm waters to allow participants to see abundant wildlife, including an active egret rookery and several purple martin colonies. The trip leaders will recount the human and natural history of this river that was first dammed in the late 1600s and was instrumental in the economic and social development of the local towns. Encourage your family and friends to join this trip. Launch your boats from the small public park on Falls River Drive, just off of Main St. in Ivoryton. Plan to arrive by 3:30 p.m. to sign waiver form for a prompt 4 p.m. departure from the small public park on Falls River Dr., just off Main St. in Ivoryton. Award-winning band ‘Playing With Fire 3′ will play at Lymestock 2015 on Sunday at Ashlawn Farm. LYME — The MusicNow Foundation is sponsoring a youth concert at Ashlawn Farm, 78 Bill Hill Rd. in Lyme on Sunday, July 19, from 12 to 6:30 p.m. The event, which was originally scheduled to take place June 28 but was postponed due to rain, will feature a selection of New England’s award-winning young artists. Performers include the Hilton Park Band, Kala Farnham, PJ Tautkus, Julia Russo, Playing With Fire 3, Jake Kulak, Juice, Terri Guddis and The Advantagers, Drew Cathcart, Sophia Griswold, Christine Salazar and Meredith Kegley. There will also be games, crafts, door prizes and more. Picnics will be available from Bliss Gourmet BBQ. Bring your own blankets. Partners and friends supporting the event include Nightingale’s Acoustic Café, Ashlawn Farm, Bliss Gourmet, Gramma’s Attic promotions, WCNI Radio, Pavoh.org and Great Blue Research, Inc. The MusicNow Foundation, Inc., is dedicated to the support of live music to engage, enrich and educate young artists through workshop programming, performance opportunities and musical mentorships nurturing creative and artistic growth. 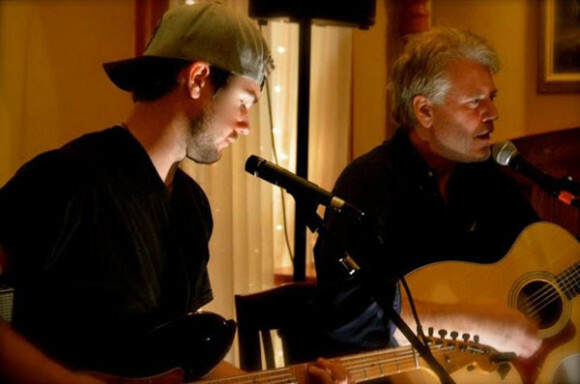 Editor’s Note: Nightingales’s Acoustic Café & Coffeehouse at 68 Lyme St. in Old Lyme is a gathering place for live, local and homegrown music. Friday Nite Live Coffeehouses are for the best in youth artists while Sweet Saturday Nites feature regional and national artists. CHESTER — On Monday and Tuesday nights, July 20 and July 21, the Connecticut Water Company will be working on Main Street in front of Chesterfields Health Care Center and the Post Office. This work involves installation of a new fire hydrant and fire line service for Chesterfields and completion of the new water main connection under the brook adjacent to the Post Office. This night time work is necessary to coordinate with the reconstruction of Main Street. Be aware of road closure, detour route and the safety of the construction crew. A featured work in the ‘Everyday Beauty’ show at Essex Art Association. ‘Everyday Beauty’ is the theme for the Essex Art Association’s (EAA) Summer Juried Exhibition. The EAA artists juried into this show will be exhibiting some of their finest work. Oil, watercolor, pencil, ink, photography, collage, sculpture, monoprints, mixed media — attendees will be delighted with the quality, variety and affordability of the exhibited artwork . Hellerman served as the president of the Connecticut Academy of Fine Arts for three years and his work is included in the permanent collection of the New Britain Museum of Amerian Art and the William Benton Museum of Art at the University of Connecticut at Storrs. Dorie Petrochko, the juror for “Everyday Beauty,” lectures and teaches natural science illustration at the Yale Peabody Museum West Campus in Orange, CT, where she is president of Connecticut Natural Science Illustrators and serves as Membership Chairman of the New York Chapter of the Guild of Natural Science Illustrators. 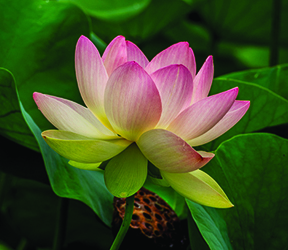 These exhibits are open to the public from July 25 through Aug. 15 at the Essex Art Association Gallery located in the sunny yellow building in the center of Essex at 10 North Main St., Essex. Gallery hours are 1 to 5 p.m. daily, closed Tuesdays. 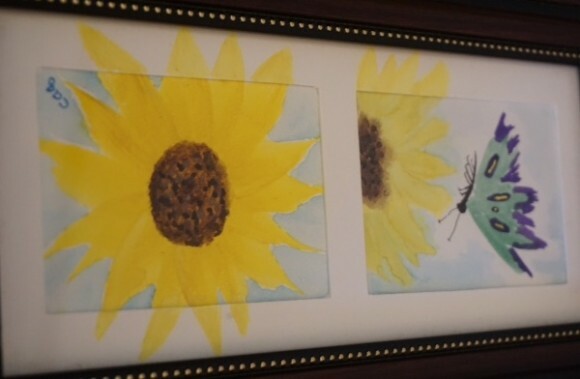 ESSEX — The Essex Library’s Art Exhibit in August is by artist Cynthia A. Quinn. Quinn is a resident of East Haddam, Conn. Her art education includes Paier College of Art and a variety of art classes. She is a former student of the famous watercolor artist Chien Fei Chiang. Quinn is a member of the Essex Art Association as an Elected Artist. She was also a member of a women’s painting group. Her work has been exhibited at the Old Saybrook Estuary and the Essex Art Association Gallery. Quinn keeps in mind that every artist has their own style and way of expressing themselves. She is inspired through her love of nature. In rehearsal for ‘South Pacific’ are (from left to right) David Edwards (Director) Maxwell Carmel, Brian Michael Henry, Johann George, Morgan Morse, Matthew Gregory, Steven Mooney, Grant Benedict and Michael Sullivan. Photograph by Jacqui Hubbard. IVORYTON – 07/17 Update: Due to the overwhelming demand for tickets for the sold out production of ‘South Pacific’ with David Pittsinger and Patricia Schuman in lead roles, an extra performance has now been added on Thursday, July 23, at 2 p.m. The issue of racism is front and center in America today and the Ivoryton Playhouse production of ‘South Pacific’ could not be more timely. The story for Rodgers and Hammerstein’s 1949 musical is drawn from a Pulitzer-Prize-winning novel by James A. Michener, entitled ‘Tales of the South Pacific,’ and is considered by most critics to be among the greatest musicals of the twentieth century. For their adaptation, Rodgers and Hammerstein, along with co-writer Joshua Logan, won the Pulitzer Prize for Drama in 1950. It inspired a 1958 film adaptation and has enjoyed numerous successful revivals, including Broadway revivals in 1955 and 2008, and West End revivals in 1988 and 2001. The original production featured Mary Martin as Ensign Nellie Forbush and opera star Ezio Pinza, as Emile de Becque. 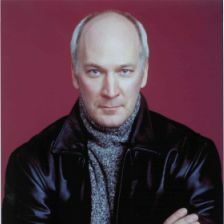 Ivoryton Playhouse is thrilled to announce that world renowned American bass-baritone David Pittsinger* will be reprising his Kennedy Center role as Emile de Becque in this production. He will be joined by his wife, internationally celebrated soprano Patricia Schuman, who will also be making her Ivoryton Playhouse debut, as Bloody Mary. The Playhouse production of ‘South Pacific’ is directed by David Edwards, who starred last year as Albin in our hugely popular production of LA CAGE AUX FOLLES. David has played both Cable and DeBecque and last directed this show at Surflight Theatre. Michael A. Dattillo is the Executive Producer. Along with Pittsinger and Schuman, the show also features Peter Carrier* as Cable, Adrianne Hicks* as Nellie, William Selby* as Billis, R. Bruce Connelly* as Captain Brackett and Annelise Cepero as Liat. The musical is directed by Michael McAssey, the set designed by Daniel Nischan, the lighting by Marcus Abbott and the costumes are by Lenore Grunko. 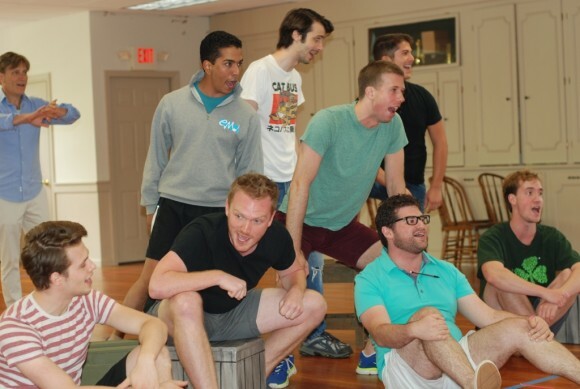 ‘South Pacific’ opens at the Ivoryton Playhouse July 1 and runs through July 26, 2015. Performance times are Wednesday and Sunday matinees at 2 p.m. Evening performances are Wednesday and Thursday at 7:30 p.m., Friday and Saturday at 8 p.m. There will be no performance on July 4; there will be two additional Saturday matinees on July 18 and 25 at 2 p.m. and one additional matinee on Thursday, July 16. This production is generously sponsored by Middlesex Hospital, Middle Oak and Guilford Savings Bank. Judith Barbour Osborne sits with samples of her work. CHESTER – Ivoryton resident and mixed-media abstract artist Judith Barbour Osborne will showcase 14 of her iconic works in a one-woman exhibition titled “Staining the Wind” from July 16 to August 21 at the Chester Village West active retirement community, 317 West Main St., Chester . The public is invited to attend the exhibit’s opening reception on Friday, July 17, from 4 to 6 p.m., and to visit the exhibit any day through Aug. 21. Osborne’s creations explore the dynamic relationship of opposites such as chance and intention to generate energies in her works. “As in all my work, the pieces in this show reflect my goal of making aspects of non-visual reality visible, as if staining the wind,” she explains. Her text sources are primarily poetry and spiritual writings. The works Osborne will display at Chester Village West are created with a host of diverse materials: sumi ink, acrylic, watercolor, gouache and oil sticks; pastels, graphite and colored pencils; shellac, and wax, to name a few. 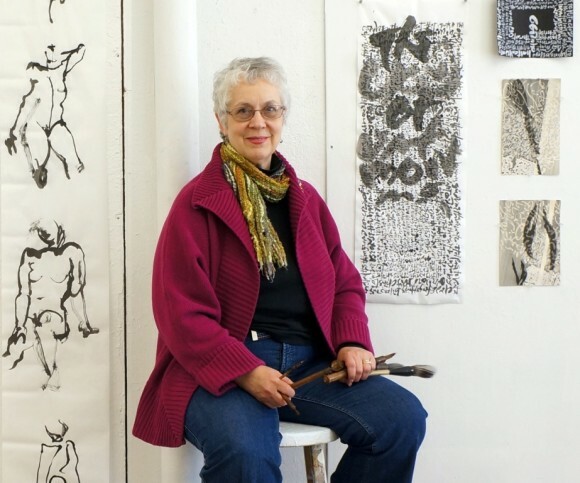 Osborne received her Master of Fine Arts degree from the Pennsylvania Academy of Fine Arts and her Bachelor of Fine Arts degree from the Philadelphia College of Art (University of the Arts). She has exhibited extensively, with solo exhibitions in Pennsylvania, Vermont, West Virginia, Delaware, Oklahoma, Minnesota and Canada. Her works have also been included in group exhibitions at galleries and museums in Paris, Ottawa and New York City; in Korea, China and Thailand; and in Connecticut, from New Canaan to Stonington, among others. A recipient of a number of awards and grants, Osborne has contributed to regional and international arts publications. She has also served as an art, design and calligraphy lecturer and instructor, guest curator and juror. For more information on Judith Barbour Osborne’s “Staining the Wind” exhibition at Chester Village West, call 860.526.6800 or email chestervillagewest@lcsnet.com. For more information on Osborne’s work, visit jboart.com or artspacenh.org/artists/Judith_BarbourOsborne. Located in historic Chester, Connecticut, Chester Village West gives independent-minded people a new way to experience retirement and live their lives to the fullest. Within a small community of private residences that offer convenience, companionship, service and security, Chester Village West enriches lives with a comprehensive program that enhances fitness, nutrition, active life, health and well-being. Find out more atchestervillagewestlcs.com. Visit the community on Facebook at https://www.facebook.com/ChesterVillageWest. OLD SAYBROOK — The Saybrook Stage Company takes you back to the 1950’s with Ken Ludwig’s hilarious play “Moon Over Buffalo” performed live at The Kate from July 16 through July 19. This fast-paced comedy takes place in one of the country’s most traditional theater’s located in Buffalo New York during the early 1950’s. 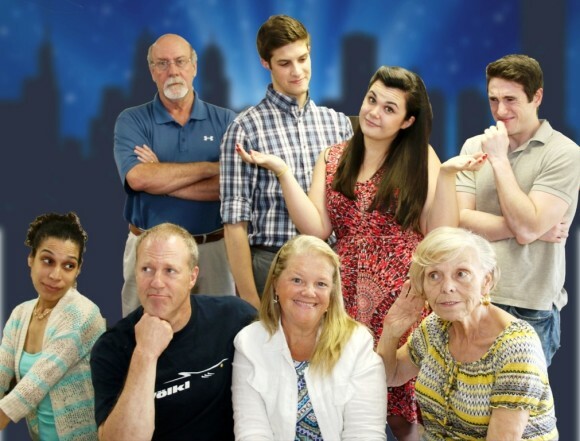 “Moon Over Buffalo” is a laugh out loud comedy about a seasoned group of traveling actors trying to survive despite the recent success of television and film. 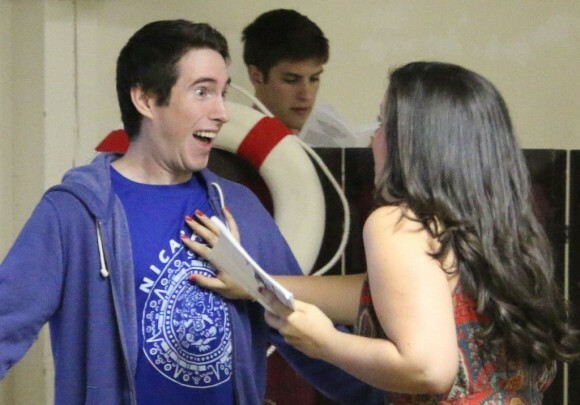 Howard Roz shows his surprise in this scene from the play. The play centers around an older married couple given one last shot at real stardom – the famous movie director, Frank Capra is coming to town to see their matinee performance and if he likes what he sees they could be cast in an upcoming major motion picture. And this is when the fun really starts – anything that could go wrong does go wrong – from the husband’s dalliance with a young actress, to their daughter’s clueless fiancé, to their deaf, elderly stage mother who hates her son-in-law more than anything. All these mishaps will make you cry with laughter as the antics unfold. The production received several Tony nominations and ran for over 300 performances. The Saybrook Stage Company is pleased to return once again to The Kate in this hilarious comedy directed by Martin Scott Marchitto. This will be their 10th production at The Kate and could prove to be their funniest yet – previous plays are Our Town, 12 Angry Men, The Dining Room, You Can’t Take It With You, A Piece of My Heart, Enchanted April, Almost Maine, Rumors, and most recently this past January to a sell-out audience, The Wayside Motor Inn. Visit www.thekate.org or call 877.503.1286 to reserve tickets. 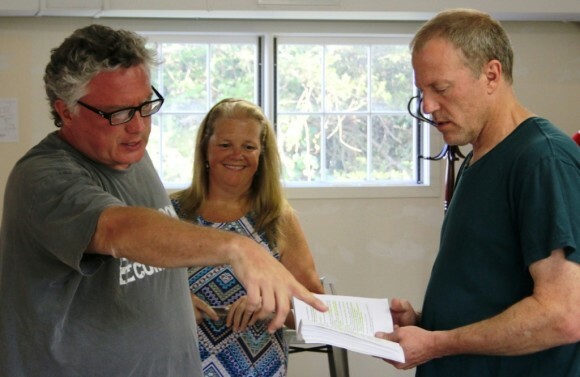 Editor’s Note: The Saybrook Stage Company was founded as a non-profit corporation dedicated to providing quality local theater on the Connecticut Shoreline at the Katherine Hepburn Cultural Arts Center. Saybrook Stage welcomes actors of all levels and abilities – and anyone who genuinely loves the arts – to come together and share in the experience that only live theater can provide. Actors that have been part of The Saybrook Stage Company to date have varied backgrounds and “day jobs” from teachers, artists and homemakers to lawyers, business people and judges. The Company looks forward to producing many more quality productions at the beautiful venue of The Kate and continuing to thrive in this wonderful, artistic region of Connecticut. 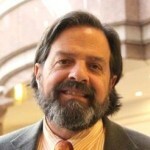 It was a spring legislative session full of posturing. Some are still insisting the sky is falling. The media found legislative and executive ideas and personalities fascinating. The legislative process features ever changing ideas, and people find this maddening. Local property taxes have long been acknowledged as the most burdensome, yet little reform has come. Other states fund public education more through taxes based on income. When I came to the legislature in 2011, we had to fix a 3.5 billion dollar deficit. It came from substantial cuts, state employee concessions, and raising new taxes. This further burdened middle class taxpayers. When I ran for re-election last year, I campaigned on opposing new regressive taxes, making the case that our middle class is doing their share and disproportionately bearing the brunt of relieving higher earners and corporations of some tax obligations in recent times. 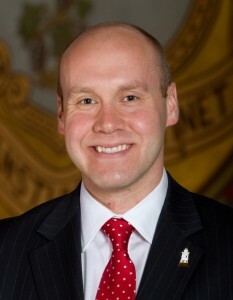 The Governor submitted his budget in early February. He was trying to keep his election year pledge not to raise taxes. Because more than half our budget is contractual, his two year budget had almost two billion dollars in cuts in other areas, such as education, higher education, human services, and other efforts. When the proposed cuts became understood, I was receiving nearly five hundred correspondences a week from citizens of Haddam, Chester, Deep River and Essex. People were alarmed at pending cuts to programs and efforts in early childhood, cultural arts, conservation, including closing our fish hatcheries, and also hospitals, libraries, mental health, serving intellectual and developmental disabilities, municipal aid, tourism, veterans services, U Conn and our state and community colleges, and even our public health districts, youth service bureaus and prevention councils. Many told me that they felt that the state should properly be the backer and partner in these efforts, that cuts would mean closed doors and less access, lowering our standards and making things worse and costlier to deal with. The other challenge beyond the property tax was deferred maintenance of our infrastructure. Our business community has long been demanding repairs and upgrades to roads, bridges and rails to better move our people, goods and services. The 2011 budget had started this necessary investment, and there has been a consensus that transportation is a worthy investment. For a long time, people have suggested that our state is unfriendly to business, that we tax too prohibitively, and that we overregulate. Recent studies show that the total state and local tax burden on business in Connecticut, as a share of private sector gross state product, 3.4%, is the second lowest of all states. To be fair, this really attests mostly to our state’s very high productivity. Other studies put us in the broad middle. We will likely never be in the top fifteen, as are states like Florida, which are “right to work” states. This means that employees don’t have to join unions, that employers don’t have to pay a living wage. This is an issue for us, too, where large retail and fast food corporations, like Walmart, pay such low wages that most of the workers receive some kind of public assistance, because they don’t earn enough. The budget passed in early June, and there were several issues that still needed to be corrected in the subsequent implementing legislation. Increases in the data processing tax were rolled back to the current one percent, and it stopped a controversial reduction in Medicaid reimbursement. Proposed hospital taxes were reduced by thirty million. It restored cuts to the research and development tax credits. It closes corporate loopholes in 2016 that have allowed some corporations to hide their profits elsewhere, and it reduces the ability of corporations to carry forward losses to offset future profits to avoid paying taxes. The corporate income tax is only 7.5% of the total business tax burden in Connecticut. The national average is 7.9%. Last year, even the Governor’s opponent, a successful investment banker, had called for ending corporate giveaways. Our state workforce is 3.3% smaller than four years ago, as positions have been consolidated and streamlined. The new budgets cuts nearly a quarter billion in available overtime and other employee appropriations. Additional state aid goes to each and every town and city. These state funds, based on income, will substitute for some local property tax generated municipal income. This is a small and hopeful beginning for property tax relief, a long sought goal. Military veterans’ retirement pay will now be exempt from state income tax. Besides the corporations who have been hiding profits elsewhere, there is a small increase in income tax rates for couples making over $500K per year and $1 M per year. This affects about two percent of our population. Our top income rates are still less than New York and New Jersey. There are those who feel, on principle, that any budget that raises any taxes is unacceptable. I don’t know anyone in local, state or federal public services who takes pride in raising taxes. Our Senator Linares voted against this budget on principle. I voted for this budget because for me, knowing what compromised services would mean, it would have been irresponsible to vote no and not contribute. There is one more aspect of this budget that will need to be fixed. To guard against weak revenues, there exists a hedge possibility in year two of lowering the property tax credit from $300 to $200. This has rightfully allowed critics to point that this budget really does hurt the middle class to a small degree. I will work next year to maintain the property tax credit at $300. Editor’s Note: Representative Philip Miller (D-36) represents Chester, Deep River, Essex, and Haddam in the General Assembly. He is the House Chairman of the Planning and Development Committee. A time to celebrate — Vista graduates (from left to right) Casey Cincotta, Max Gebert and Danielle Garley are all smiles after the ceremony. WESTBROOK — One door closed and another opened recently for the 15 graduates of Vista Vocational & Life Skills Center, a nationally accredited non-profit education program for individuals with disabilities. 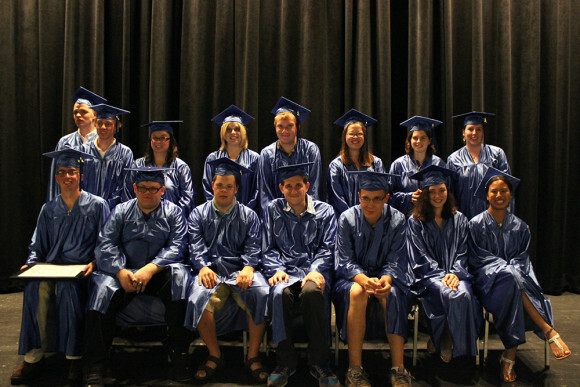 Bob Brown, Dana Butler, Kathleen Cassella, Casey Cincotta, Cody Clark, Alex Drago, Sarah Gabow, Danielle Garley, Max Gebert, Jason Jakubovic, Jackie McMahon, Kyle Palubicki, Lan Tagg, Matt Tarnell and Mickey Teubert graduated on July 10 in a ceremony held at Westbrook High School. Over 250 people attended the ceremony, including State Representative Noreen Kokoruda (R-101) and keynote speaker Lisa Mikis, former publisher of Shore Publishing in Madison. Miksis, who came to know Vista and many of its students and members throughout her career with Shore Publishing, offered the graduates encouraging words of wisdom as they start the next chapters in their lives. The Class of 2015. Front row (seated) from left to right are Alex Drago, Kyle Palubicki, Max Gebert, Jason Jakubovic, Bob Brown, Sarah Gabow and Lan Tagg. Back row (standing) from left to right are Mickey Teubert, Cody Clark, Kathleen Cassella, Danielle Garley, Matt Tarnell, Casey Cincotta, Jackie McMahon and Dana Butler. Graduation is a monumental occasion that acknowledges the achievements of Vista students who have reached a level of independence and, as a result, graduate from Vista’s Entrance Program— a residential post-secondary program. Through the Entrance Program, students receive hands-on life skills instruction, vocational training, support and guidance, helping them develop the skills and behaviors needed for adulthood. The next step in their journeys involves living in their own homes or apartments within local communities in Vista’s service area as members of Vista’s Outreach Program. In addition to a Vista Diploma, each graduate received a commendation certificate signed by Congressman Joe Courtney (D-2). The graduation festivities ended with a reception at Chamard Vineyards in Clinton. There, each graduate received gift baskets complete with a cookbook and various housewarming items for their new homes or apartments. 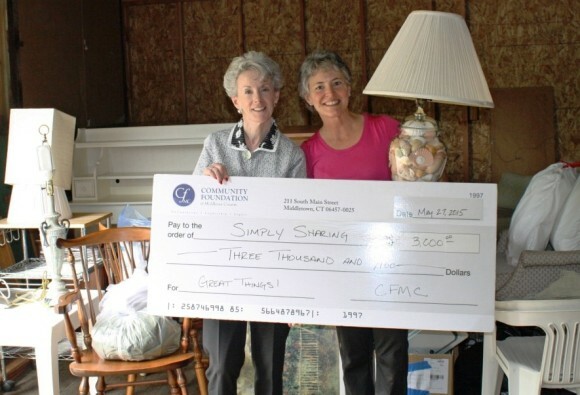 Simply Sharing Receives Grant from Community Foundation of Middlesex County. Cynthia Clegg (left), President and CEO of Community Foundation of Middlesex County, presents Alison Brinkmann, President and Founder of Simply Sharing, with a ‘check’ from the Foundation. ESSEX — Simply Sharing has been awarded a $3,000 grant for 2015 in support of their Beds and Bedding Program. The grant is funded by the Community Foundation of Middlesex County/River View Cemetery Fund. This one-year grant award specifically supports the purchase of new beds and bedding for the families and individuals in need. The grant money was used to purchase beds, frames and pillows to help five families with children and three adults. The deliveries were made to everyone in two days in the same week with the help of the organization’s many volunteers. Nolah mattresses purchased by Simply Sharing with the grant from the Community Foundation of Middlesex County. Simply Sharing provides basic furniture, household goods and occasional “interior design” input to individuals and families transitioning from homelessness to sustainable and supportive housing. The organization accepts approved donations from individuals and businesses. 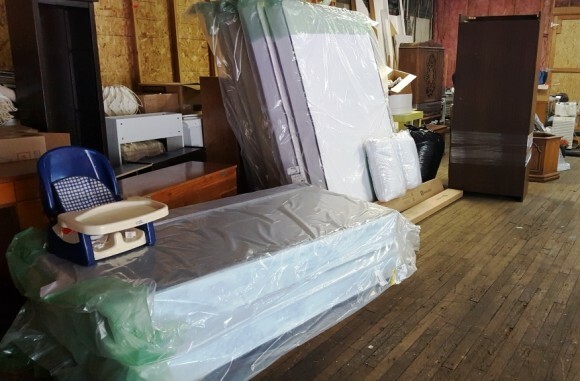 In addition, the organization welcomes any financial donations, which allow them to maintain the warehouse, deliver to those in need and purchase items which have not been donated or cannot be accepted such as mattresses and pillows. Simply Sharing is an all-volunteer based organization. For more information, visit www.simplysharing.org. The Community Foundation of Middlesex County is a nonprofit organization whose mission is to improve the quality of life in Middlesex County. Its mission is to work with charity-minded individuals and organizations to build permanent endowments and other charitable funds and to support local non-profit organizations through effective grant making to address community needs. Since its founding in 1997, the Community Foundation has awarded 1,295 grants totaling over $4 million to nonprofit organizations for the arts; cultural and heritage programs; educational activities; environmental improvements; and for health and human services. 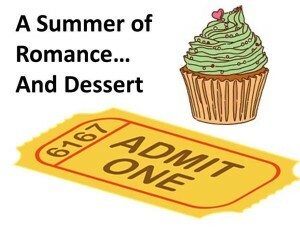 ESSEX — Join Essex Library for a six-week film series of romantic movies from around the world and desserts that are inspired by their locations. The films will be shown on Thursdays at 7 p.m. in the Library’s air-conditioned Program Room. Stop by or call the Library to reserve your seat (and dessert!) at (860) 767-1560. 7/16 – The Second Best Exotic Marigold Hotel (2015) Rated PG. 122 minutes. Starring Judi Dench, Maggie Smith and Bill Nighy. 7/23 – Defending Your Life (1991) Rated PG. 112 minutes. Starring Albert Brooks and Meryl Streep. 7/30 – The Wrong Box (1966) 105 minutes. Starring John Mills, Michael Caine and Ralph Richardson. 8/6 – The Umbrellas of Cherbourg (original title: “Les parapluies de Cherbourg”) (1964) 91 minutes. Starring Catherine Deneuve, Nino Castelnuovo and Anne Vernon. 8/13 – In The Mood For Love (original title: “Fa yeung nin wa”) (2000) Rated PG. 98 Minutes. Starring Tony Chiu Wai Leung, Maggie Cheung and Ping Lam Siu. 8/20 – Il Postino (The Postman) (1994) Rated PG. 108 minutes. Starring Massimo Troisi, Phillippe Noiret and Maria Grazia Cucinotta. The Ivoryton Library and Friends of the Essex Library sponsored the first and now annual, joint fundraiser on Thursday, July 9th at the Ivoryton Playhouse. Thank you to those who attended the event and those who baked cookies for the “Meet the Cast” party following the “South Pacific” performance. This would not have been possible without the generous support of the Ivoryton Playhouse and of Krista May, Managing Director of the Playhouse, who provided untiring assistance. For all, we are particularly grateful. Our libraries serve as community centers. We strive to provide a variety of programs, services and events that enrich both our intellectual and entertainment experiences. It was a thrill for us who were involved in organizing this event to receive such a positive response. Editor’s Note: Richard Conroy is the Director of the Essex Library and Elizabeth Alvord is the Director of the Ivoryton Library. Volunteers set up for food distribution at the SSKP Old Saybrook pantry hosted by First Church of Christ in Saybrook. The Shoreline Soup Kitchens & Pantries (SSKP) has received a $5,000 grant from the Community Foundation of Middlesex County through the River View Cemetery Fund. This funding will purchase fresh and non-perishable food to be distributed to needy families and individuals on the shoreline. “SSKP is so grateful for this generous support through the Community Foundation of Middlesex County. This donation helps assure that all our neighbors will have a place to turn to for food and fellowship. With these funds specifically we will be able to purchase enough food for over 12,800 meals.” said Patty Dowling, executive director of SSKP. 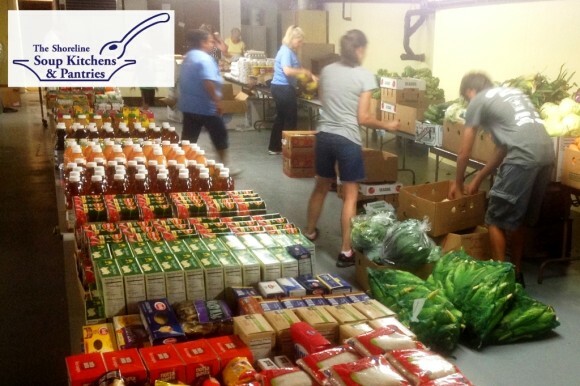 The Shoreline Soup Kitchens & Pantries provides food and fellowship to people in need and educates the community about hunger and poverty, serving 11 Connecticut shoreline towns. Last year with a small staff and over 900 dedicated volunteers, SSKP distributed enough food for almost 950,000 meals to over 8,200 shoreline neighbors in need. For information about how to receive help, or how to support SSKP’s mission, visit www.shorelinesoupkitchens.org, or call (860) 388-1988. The Community Foundation of Middlesex County is a nonprofit organization whose mission is to improve the quality of life for the people of the County, now and in the future, by developing endowments, making grants that have impact and assisting donors in meeting their philanthropic objectives. Since its founding in 1997, the Community Foundation has awarded 1,295 grants totaling more than $4 million for the arts, cultural and heritage programs, educational activities, environmental improvements and for health and human services. For more information, contact the Community Foundation at 860.347.0025 or info@MiddlesexCountyCF.org. 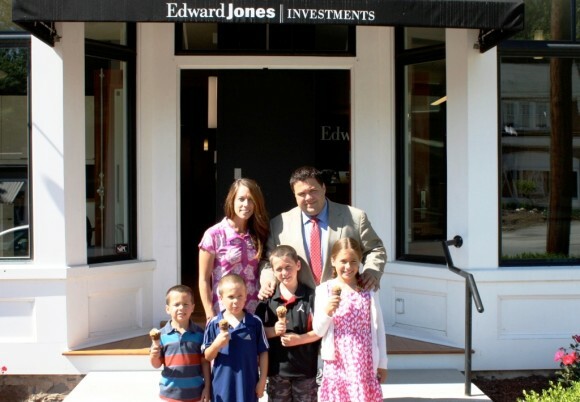 Adam Richwine, his wife Shannon and their children, Bella, Alex, Aaron, and Jameson, enjoy some ice cream in front of the Edward Jones office in Essex, where free ice cream will be served July 25. ESSEX — Take a delicious break from the summer heat as you stroll through downtown Essex on Saturday, July 25, with a visit to the beautiful patio of Edward Jones at 2 Essex Square in Essex. From 11 a.m. to 2 p.m., Adam Richwine, Financial Advisor with Edward Jones, will be offering children and the young at heart free ice cream from Scoops on the patio in front of Edward Jones at the top of Main Street in Essex. Michelle Davis, Owner of Scoops in Centerbrook, is excited to partner with Richwine for his fun event and hopes that many visitors to Essex that day will enjoy a scoop of ice cream. Editor’s Note: Edward Jones, a FORTUNE 500 firm, provides financial services for individual investors in the United States and, through its affiliate, in Canada. Every aspect of the firm’s business, from the types of investment options offered to the location of branch offices, is designed to cater to individual investors in the communities in which they live and work. The firm’s 13,000-plus financial advisors work directly with nearly 7 million clients. Edward Jones, which ranked No. 6 on FORTUNE magazine’s “100 Best Companies to Work For 2015,” is headquartered in St. Louis. The Edward Jones website is www.edwardjones.com, and its recruiting website is www.careers.edwardjones.com. Member SIPC. 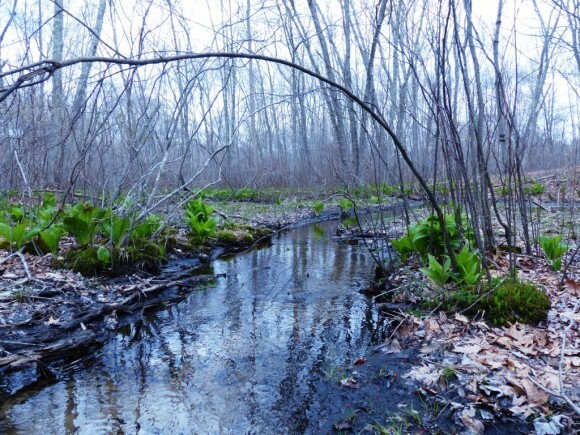 Explore this beautiful section of Ivoryton with the Essex land Trust. IVORYTON — Come explore Comstock Park — a new Essex Land Trust preserve — on Saturday, July 11 at 9 a.m. Be among the first to discover this new Ivoryton gem. 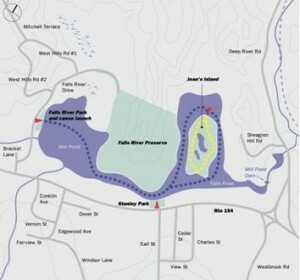 Steward John Cosenza will lead a hike with poles across the recently purchased 18 acres of open space, yet to be named, available to the community. Work is well advanced in establishing trails and access to this combination of marsh and upland with a stream that flows into the Falls River. The property is still being inventoried and there are plans for a boardwalk through some of the marshes and a footbridge across the stream. Hikers should wear appropriate footwear for wet soil conditions. Access and parking at the end of Park Road, Ivoryton, across from Comstock Park. Bad weather cancels. The heritage of wooden boats comes to life on the docks of the Connecticut River Museum. Photo courtesy of Southern New England Chapter of the Antique and Classic Boat Society. 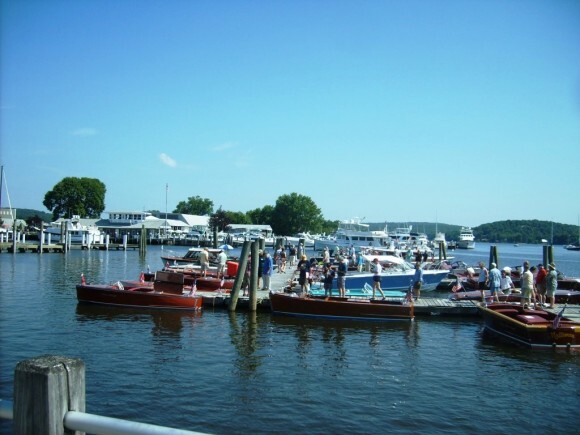 ESSEX — The Southern New England Chapter (SNEC) of The Antique and Classic Boat Society will present the 31st annual “Mahogany Memories” boat show on the grounds and docks of the Connecticut River Museum (CRM) on Saturday, July 11, from 9 a.m. to 4:30 p.m. Admission is free. Schuyler Thomson and Frank Christinat from the Canoeworks in Norfolk will be demonstrating and involving show participants in a series of wood bending exercises as they build a new boat. Also on display will be last year’s build, a 14-foot canoe and some other interesting canoes. The CRM’s Boatbuilding Workshop will be on view throughout the weekend. The workshop, geared towards first-time boat builders, allows participants to work with experienced volunteers and go home at the end of the weekend with a 12 foot rowing skiff. The museum commissioned Paul Kessinger, a local wooden boat builder from Guilford, Conn., to build the first CRM 12 in 2014. Kessinger says, “This is a perfect activity for adults or families. Best yet, you will get years of enjoyment out of rowing your skiff.” Reservations are required and interested participants should contact the museum as soon as possible. The Mystic Seaport Ship Modelers (MSSM) will return to show off and possibly launch several of their models. 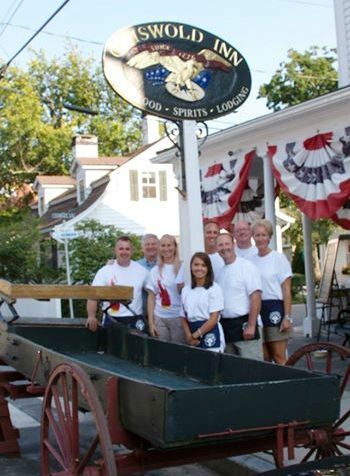 This group is a special interest group comprised of Mystic Seaport members and staff. It was formed in 2012 to promote ship modeling and related activities at Mystic Seaport and in the surrounding area. 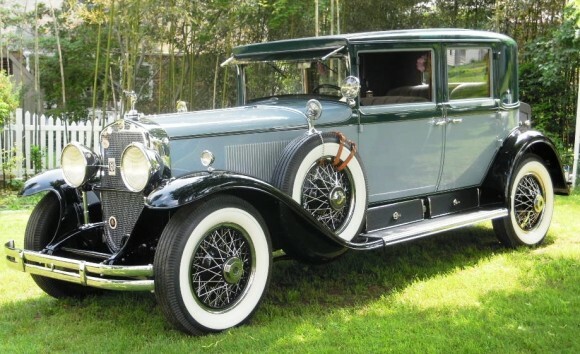 On display will be the 1929 Cadillac connected to the Lindbergh infant kidnapping. Photo courtesy of Tom Tkacz. New this year, several classic cars from the mahogany boat era will be on display. Many of them with mahogany dashboards, chrome hardware and elegant brightwork are reflective of period boats. One fascinating automobile on display will be a 1929 Cadillac 341B Town Sedan that was impounded as part of the Lindbergh infant kidnapping, saved from a junkyard, and housed in a barn for 51 years before being finely restored. In addition, marine supplies, artwork, clothing and boat merchandise will be available for purchase and a raffle will be held at the end of the show. This year’s sponsors include the Connecticut River Museum, Essex Savings Bank, Ashcroft Inc., Cooper Capital Specialty Salvage, Middle Cove Marina, Northeast Laser and Electropolish, CCJ, Hagerty Classic Marine Insurance, Island Cove Marina, Clark Group, New England Chrome Plating, Inc., Heritage Marine Insurance, and ki Advertising. The Connecticut River Museum is located at 67 Main St. on the historic Essex waterfront. For more information on the Mahogany Memories Antique and Classic Boat Show and other CRM programs and events, visit www.ctrivermuseum.org or call 860-767-8269. Photo Caption: On display will be the 1929 Cadillac connected to the Lindbergh infant kidnapping. Photo courtesy of Tom Tkacz. AREAWIDE — Volunteer for a non-profit that makes a difference in meeting the literacy needs of our community. Literacy Volunteers Valley Shore (LVVS) needs someone to edit and submit news and publicity items to area newspapers, collect clippings and keep records of publicity for our organization. The schedule is flexible and mostly can be accomplished from home or remotely. Give LVVS a call at 860-399-0280, stop in or fill out the volunteer application on their website at www.vsliteracy.org. LVVS is located at 61 Goodspeed Dr., Westbrook, around the back of the Westbrook Library. IVORYTON — World renowned artists David Pittsinger and Patricia Schuman will be performing songs from The Great American Songbook – including works by Gershwin, Cole Porter, Rodgers and Hammerstein as well as some contemporary composers – at an exclusive concert on Sunday, July 12, at the Ivoryton Playhouse. This concert is a benefit for the 104-year-old Playhouse to further its mission to provide theatre of the highest quality to the residents and visitors to our community. Pittsinger is a world renowned operatic performer who recently garnered critical acclaim for his performance of Emile DeBecque in the Lincoln Center’s Tony Award winning ‘South Pacific’ – a role he is currently reprising at the Ivoryton Playhouse. This special concert is a rare opportunity to see them together in the intimate setting of the Ivoryton Playhouse performing a brand new repertoire. Tickets for this unique event are $125 each and there will be a reception at 6 p.m. with cocktails, wines and heavy hors d’oeuvres followed by the performance at 7 p.m. Pittsinger and Schuman will join guests after the show for coffee and dessert. Seating is limited; call the theatre box office at 860.767.7318 to reserve your seat for this special evening. Premier seating is available for patrons. Throughout the month of July, Pittsinger will be revisiting the role of Emile deBecque in ‘South Pacific’ – the role he played in the Lincoln Center production to great critical acclaim and Schuman will be making her Ivoryton debut in the role of Bloody Mary. ‘South Pacific’ opens at the Playhouse July 1 and runs through July 26. 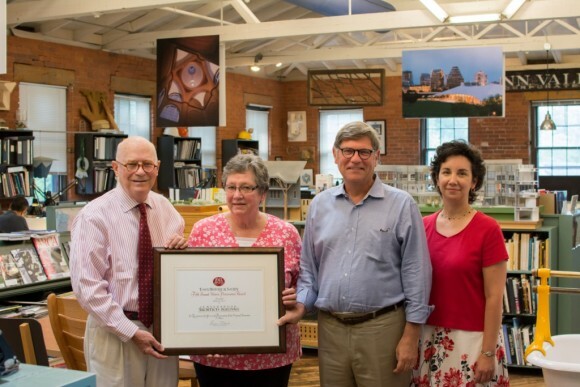 Essex Historical Society (EHS) President Sherry Clark (second from left) presents Chad Floyd and Jim Childress from Centerbrook Architects with the EHS Annual Preservation Award. Also present at the ceremony was EHS Director Melissa Josefiak. ESSEX — The Essex Historical Society recently presented Centerbrook Architects with its Annual Preservation Award for its long-term commitment to restoring and preserving its offices at 67 Main St. in Centerbrook, a village within the town of Essex. The brick building that forms the core of the firm’s offices was built in 1893, and along with several ancillary wooden structures served as a factory that fashioned drill bits until 1969. The architects moved in the next year and proceeded to clean house, replacing large machinery driven by antiquated belts and pulleys with collaborative office spaces to produce contemporary building designs. Waterpower from the historic dam and sluiceway on the Falls River was repurposed to generate electricity. The dam has been in place and making power since the late 1600s. Initially, the firm rented out portions of its building to retail businesses, but as the practice grew it eventually occupied all of the available space. The great flood of 1982 set back restoration efforts: destroying several of the wooden structures closest to the river. But the firm rebuilt, elevating the buildings on piles to withstand the next inevitable flood. Essex Historical Society President Sharon Clark presented the award to Centerbrook Partner Chad Floyd as ceremonies at the organization’s Pratt House Museum (http://www.essexhistory.org/) on West Ave. in Essex. “Thanks to a month-long voting poll from the general public, the Essex Historical Society is very pleased to present Centerbrook Architects with our Annual Preservation Award,” said Melissa Josefiak, Director of the Society. “Their marvelous sensitivity to historic preservation and sustainable building practices makes them a leader in their field as well as an incredible asset and historic resource for the community.” Past winners have included the Ivoryton Playhouse and the Centerbrook Meeting House. For more information on the historic building of Centerbrook Architects, visit:http://centerbrook.com/about/history. Remember the Governor’s stealth proposal for a “Transit Corridor Development Authority,” described by some as “eminent domain on steroids”? Well, the initial idea to allow the state to acquire any land within a half-mile of train stations was modified, then killed in the legislature. I predict it will be back. Just as planning begins to replace Norwalk’s 118-year-old railroad bridge, which opens but doesn’t close, another ancient bridge is suffering the same engineering arthritis. On July 1st the Devon Bridge in Stratford was raised but wouldn’t close, delaying every train that ran across it for days. Estimated replacement cost, $750 million. It has been two years since the CDOT tapped Darien developer John McClutchy as their choice to demolish the old rail station garage. (That announcement came 10 days after, just coincidentally, McClutchy’s wife donated $10,000 to the state Democrats.) But a final deal has yet to be signed for reasons unknown, so any work is still many months away. Meanwhile in April of this year the old garage was crumbling so badly that the CDOT closed it for safety inspections. Those inspections were completed, but the garage is still closed, displacing 700+ daily commuters. On June 29, Metro-North allowed two trains to run toward each other on a single track just south of New Canaan. Fortunately they stopped before a collision and one of the trains backed up and out of the way. When reporters first asked Metro-North what happened, they insisted nothing was wrong. Later, they described the incident as “undesirable train routing”, an amazing euphemism for a near collision. Is it reassuring to passengers to see MTA conductors and engineers on a “perp walk” for the news media? Thirteen current and former employees of the MTA were taken to court last week, indicted on charges of cheating on safety exams that were testing their knowledge of signals, speed limits and safe operation of trains. The cheating ring ran for more than two years in a period just before Metro-North was hit with a series of derailments and collisions. Eight different exam cycles were compromised before the MTA’s internal investigators started their probe. HOW LATE WAS YOUR TRAIN? When the 11:39 p.m. left Grand Central on the night of July 1, passengers settled in for a nap en route to Stamford and a 12:48 a.m. arrival. But instead of taking one hour, their journey took three. Near Woodlawn, the train entered a section with inoperative third-rail and coasted to a halt. The train sat there for 90 minutes before a rescue train arrived, taking 40 minutes to pull them to a station where passengers got on another train. To their credit, the crew did pass out water to the stranded passengers … never a good sign when you’re on a stranded train. IVORYTON — The fourth of July is a big deal these days in the Essex Village of Ivoryton, Conn. Not only can you attend one of the best little Farmer’s Markets in Connecticut, but you can enjoy their Fourth of July Parade — held rain or shine — with a full color guard, two Fife and Drum Corps and many other groups marching. The parade kicks off at 10 a.m. on Saturday. All marchers are welcome and should gather at Cheney St at 9:30 a.m. A donation of bottled water has been kindly made by W.B. Mason office Supply Company for those marching in the parade. The parade will feature Jacqui Hubbard as the Grand Marshall. 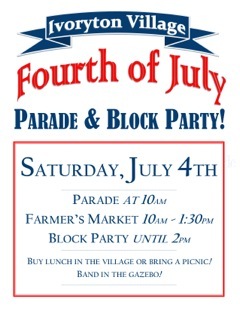 There will be a patriotic ceremony following the parade at the Gazebo featuring the New Horizons Band from the Community Music School (CMS) performing patriotic music both before and after the parade. The band directed by CMS founder Paddy Hurley, is composed of active adult musicians who have either decided to learn to play a musical instrument in their adult years or become re-acquainted after many years. This is the third year in a row that they have performed in the Gazebo adding to the unique old fashioned style of the parade, playing patriotic songs. There will also be a community picnic block party. The Ivoryton Tavern will be grilling in the park for breakfast and lunch as well as The Blue Hound Cookery with some Cajun BBQ outside at their parking lot. Live music will play throughout the afternoon sponsored by the Ivoryton Farmer’s Market. Two six foot tables will be set up in the park with paper plates, cups and utensils provided by Kathryne L. Wright of the Hammered Edge across from the park. All are invited to bring food to share with their neighbors on these tables. “It’s an opportunity for folks to meet and share their appreciation of the Ivoryton Village community” says Wright. For more information contact Kathryne L. Wright at 860-581-8058 or visit the Ivoryton Alliance Facebook page at https://www.facebook.com/pages/Ivoryton-Village-Alliance and the Ivoryton Farmer’s Market at https://www.facebook.com/pages/Ivoryton-Farmers-Market. CHESTER — On Saturday, July 4, the Rotary Club of Chester will sponsor its perennially popular 37th Annual “4 on the 4th” Road Race – a time-honored Chester tradition. The start time is 9 a.m. The scenic, rolling course that loops its way around and through the quaint Village of Chester is USATF sanctioned and measured. On-line, pre-entry is available through www.Active.com until 9 p.m. on Wed., July 1. Information is also available at www.chesterrotary.org. The entry fee is $25. Race day registration will be between 7 and 8:30 a.m. at St Joseph’s Parish Center. Pre-registered runners may pick up race packets at either the Friday evening advanced or Saturday morning, race day registration. All entrants receive a road race T-shirt (while they last) and a complimentary drink ticket for use after the race. Entertainment, food and drinks for participants and spectators will be available. Beer will be offered at the Rotary-sponsored beer tent. Food will be available from Chester Main Street merchants. Chester will be closed at 8 a.m. on race day. Parking will be limited; carpooling is encouraged. Detour and parking data are available on-line at www.chesterrotary.org. 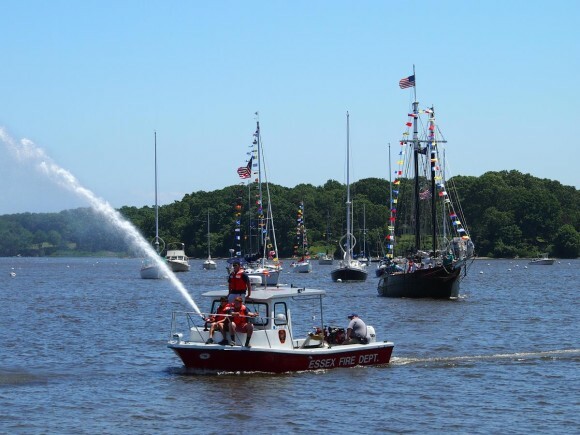 ESSEX — The boating community around Essex, Conn., will once again gather today to celebrate Independence Day at the annual 4th of July Essex Harbor Boat Parade. Boat owners are invited to “dress up” their boats and join the parade. Meet near green marker 25 outside the harbor at 12:45 p.m. and monitor Channel 71 for instructions. The parade will kick off at 1 p.m. and will pass the Essex harborfront several times. If you do not own a boat, why not watch the parade from the shore? LYME — The Julia Balfour LLC creative agency located in Lyme, Conn., has been honored with 14 Connecticut Art Directors Club awards. Julia Balfour, LLC has been honored with 14 Connecticut Art Directors Club awards for design projects undertaken by the company in the past year. The works include Exhibition Kiosks, Interactive Apps, Social Media Campaigns, Websites, Logos, and Invitation designs. Julia Balfour, founder and Creative Director of the agency, comments, “I’m so proud of the work our team has done over the past year. We’ve gone from a one-woman shop to a 15-person team in four years. The work we’ve produced, this year in particular, demonstrates the passion, strategy, and innovation that this team has poured into their work. And of course we couldn’t do any of it without our fabulous clients.” she said. Julia Balfour, LLC is a full service creative agency specializing in design, strategy, innovation, and social media. Located in Lyme, CT, the studio works within Healthcare, Finance, Travel & Tourism, Non-Profit, Retail, Beauty and Museum & Fine Art. The Connecticut Art Directors Club seeks to promote standards of excellence in the field of creative design within the state. Their yearly awards show brings together and highlights the exceptional design work of the past year. Connecticut’s Strict Liability law only applies to the owner or keeper of the dog. However, victims of dog bites are not limited to the owner or keeper of the dog. If the victim can show another person, e.g., a landlord, was aware of a known vicious dog kept by his tenant, the landlord could be held personally responsible, similar to the other states described above. This is called the common law. 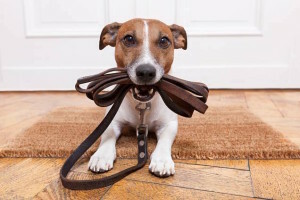 Homeowner’s insurance has traditionally provided coverage for injuries caused by the owner’s dog. However, with the growing popularity of special breed dogs, e.g., Pit Bulls, Rottweilers, Akitas, etc. more insurance companies are excluding such breeds from coverage or excluding all dogs completely. Apartment dwellers can also obtain tenant’s insurance with the possibility of exclusions as in homeowner’s insurance. Of course, where these are such exclusions, special endorsements to include dogs can be obtained, for an extra premium, of course. The usual cases we see arise from dog bites which can be quite serious. Risk of infection, even rabies is always a possibility – therefore any dog bite should be reported to the dog warden/animal control officer/police so the dog can be quarantined for the proper length of time. Medical attention should be sought immediately, especially if the skin is broken. Next the identity of the dog and its owner should be obtained – from its license and/or the Town Clerk. Any witnesses should be identified and contact information be obtained. Next, any injury should be photographed. Frequently, we employ a professional photographer because scarring and disfigurement are difficult to portray accurately and realistically. Cosmetic surgery may be required or recommended. This may be problematic for children as surgery may have to wait until their teens. Meanwhile, children must live with scars and disfigurement, which can be psychologically traumatizing. There will be medical bills, which, if paid for by health care insurance, may have to be reimbursed. Future medical costs also may have to be considered. So although a dog may be man’s best friend, it’s usually your own dog, not the other guy’s dog. Editor’s Notes: i) Attorney Matthew Shafner is a Director at Suisman Shapiro Attorneys-at-Law in New London, and a nationally recognized lawyer in the fields of personal injury, asbestos injury, maritime injury and workers compensation law. Contact him at mshafner@sswbgg.com or (860) 442-4416.
ii) Suisman Shapiro Attorneys-at-Law is the largest law firm in eastern Connecticut, serving the community for over 75 years with a wide range of legal services. 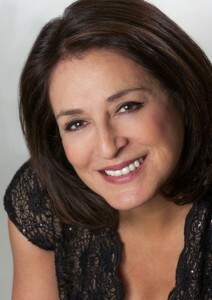 For more information, visit suismanshapiro.com or call 860-460-0875. Suisman Shapiro is located a 2 Union Plaza, P.O. Box 1591, New London, CT 06320. AREAWIDE — The Connecticut Interlocal Risk Management Agency (CIRMA) presented a 2015 Risk Management Achievement Award to the Estuary Transit District for making risk management an organizational priority. Their efforts, led by the District’s Director Joseph Commerford, created a culture focused on the safety of its employees and passengers. The District established broad-based programs to reduce loss costs, including creating a formal Return-to-Work program, performing facility assessments, reviewing incident reports to identify root causes, and revising procedures. The achievement award was presented to the Estuary Transit District at CIRMA’s May 22 awards ceremony. CIRMA, the state’s leading municipal insurer, is a member-owned and governed organization that works to empower municipalities, public schools, and local public agencies to better manage risk. CIRMA’s mission is to reduce losses and their costs by improving its members’ understanding of risk and the ways to manage it. CIRMA’s Risk Management Achievement Awards program was begun in 1981 to recognize the risk management and safety initiatives that prevent accidents and make positive improvements in Connecticut communities. The program has expanded over the years, recognizing achievements in such areas as property management and sustained results. The program provides CIRMA members a forum in which they can share ideas and learn new methods to reduce losses. CIRMA, owned and governed by its members, operates two risk-sharing pools: the Workers’ Compensation Pool and the Liability-Automobile-Property Pool. It also provides risk management services to self- insured municipalities and local public agencies. Today, CIRMA’s membership includes over 85 percent of the state’s municipalities and has Premiums of $90 million and Assets under management of over $360 million. For more information about CIRMA’s Risk Management Achievement Award Program, contact George Tammaro, CIRMA Risk Management Supervisor, at gtammaro@ccm-ct.org, or visit www.CIRMA.org.